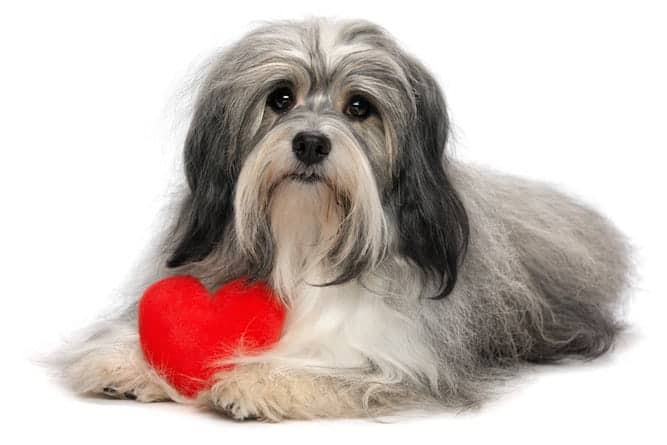 Is The Havanese Temperament (Playful, Smart, Affectionate) For You? Is The Havanese Temperament (Playful, Smart, Affectionate) What You’re Looking For? The cheerful and outgoing Havanese temperament makes them an ideal pet for young families or retired seniors. This spirited little dog can easily adapt to any circumstance, as long as they are able to be with their beloved owners. The Havanese is one of my favorite toy breeds, and I am happy to recommend them for almost any household. These gorgeous dogs are the national dog of Cuba and are part of the Bichon group of dogs, which share a common ancestry with the Poodle. Other breeds in this group are the Maltese and the Bichon Frise. Experts on the breed believe the Havanese originated in Tenerife, Spain. During the Cuban Revolution, upper-class Cubans came with their dogs to the U.S., but they couldn't bring all the dogs. As a result, the Havanese breed's future was in jeopardy. When Americans took an interest in the breed, there were only 11 dogs in the country. However, with a dedication to breeding the Havanese, and with a few international dogs being flown in, breeders were able to revive the breed. Now, the Havanese is one of the fastest-growing breeds in the AKC! And now for a little Havanese Dogs 101. The Havanese likes nothing more than to be around his people. One of the qualities most Havanese owners can agree on is how affectionate this dog is. The Havanese is a playful dog for sure. He loves playing games with you, like hiding his toys and then looking for them. This dog's temperament is that of the family clown. They love to make you laugh and are happiest when they are the center of attention. They are clever and easily trained and can be taught a number of fun and entertaining tricks. 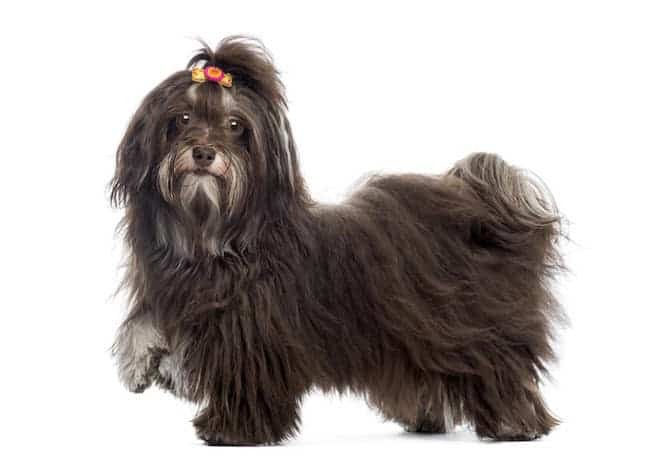 Many Havanese owners report that their dogs will suddenly start racing through their house, spinning in circles and rushing from room to room. There is no obvious reason for this game, and it is often over as soon as it has begun, leaving the dogs happily out of breath. The Havanese is a peaceful and gentle dog. However, the Havanese is not the kind of dog you can leave alone for a long time. He likes to be around his people and can develop anxiety when they're not around. This can lead to destructive or obnoxious behavior, like chewing things he's not supposed to chew and barking. The Havanese is responsive to your commands because he loves you and wants to please you. He is also an intelligent dog who not only learns tricks quickly but loves to do so. Havanese are well suited to dog sports such as agility and flyball because they are quite agile and quick to learn. Unlike other breeds, his intelligence does not give him an air of superiority. He will not try to dominate you during training. 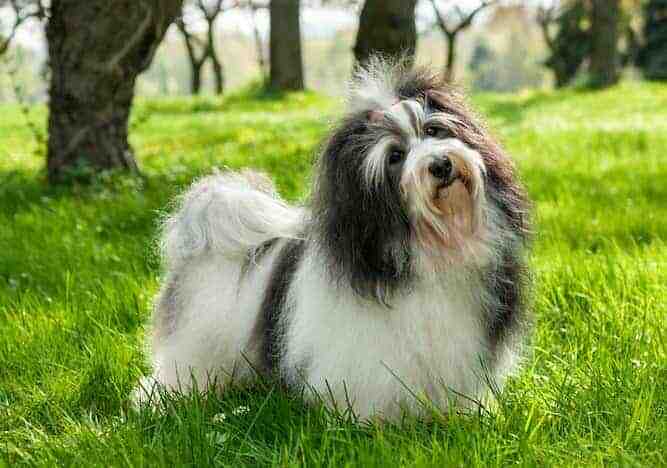 One of the most delightful aspects of all dog temperaments is their love of their owners, and this is certainly true of the Havanese. They are very people-oriented and are happiest when spending time with their human family. The Havanese gets on well with everyone, whether it is people, dogs or even other pets. They are wonderful with children, not only because of their playful and affectionate nature but because they are sturdier than most other toy breeds. In spite of this, youngsters still need to be watched when they are romping with their canine playmate. Their social and outgoing nature makes them very well suited as therapy dogs, and they are popular visitors to the elderly residents of nursing homes. One of the less enjoyable parts of the Havanese temperament is their tendency to bark. They often bark at the slightest sound, and this can quickly become annoying. It's a good idea to teach your dog to stop barking when they are told to. If you acknowledge your dog's barking and make sure everything is okay, your Havanese will usually stop their warning noise. On the positive side, this barking can alert you to unexpected visitors. This, plus their close bond with their family, makes the Havanese a good little watchdog but don't rely on them to protect you. They will let you know when someone is coming, but welcome them enthusiastically when they arrive. Early socialization is vital to bring out the best in any dog temperament. 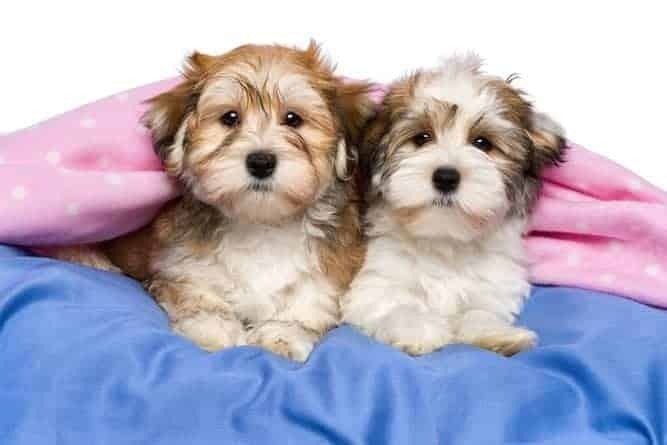 The Havanese has a tendency to be a little nervous and shy if they aren't given the opportunity to mix with other dogs and people as they are growing up. Take your puppy to the bus depot, to the schoolyard, to the corner store and allow them to meet people of all shapes, sizes, and colors. Puppy pre-school is also essential for this intelligent little dog to grow into a confident and outgoing adult. Because of their close bond with their human family, the Havanese doesn't enjoy being left on their own for long periods of time. They are affectionately known as velcro dogs, as they don't like their owners being out of their sight. Because of this, I don't recommend this breed for a family where everyone is out at work or school all day, unless they have another dog for company. If you work from home or you work only part-time, then certainly consider welcoming a Havanese into your home. If you are looking for a small canine companion that is affectionate, playful and intelligent enough to train, then you really can't go past the Havanese temperament. This little dog will bring a great deal of love and laughter to your life. Because the Havanese is an intelligent breed, and because he yearns to please you, training is usually enjoyable and not stressful. This is a sensitive dog, though, so you must refrain from using harsh scolding methods as punishment. Focus more on rewarding him when he does well, rather than scolding him when he does not do things right. It is very important that you socialize him as often as possible while he's young. Expose him to as many new places, people, and animals as you can. The more exposure he receives, the better adjusted he will be as a Havanese adult. You don't have to really worry about him being around other dogs. So long as the other dog is not aggressive, the Havanese should be able to get along just fine with him. 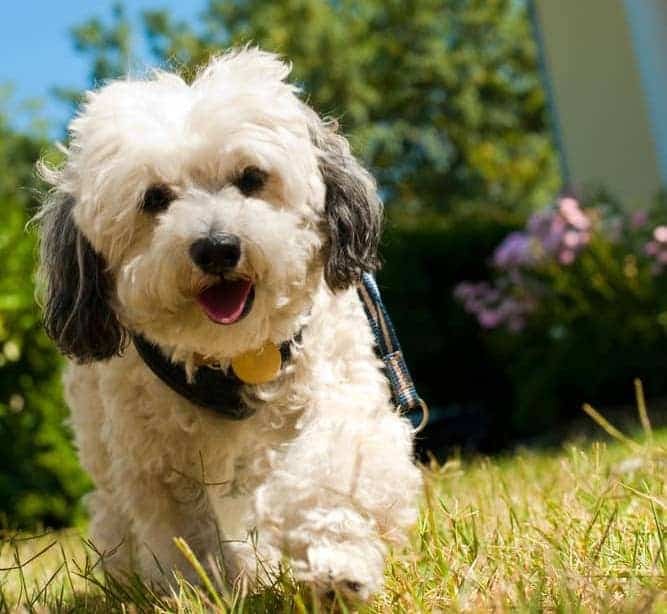 The Havanese is easy to exercise in that all he really needs is a daily walk or a romp in the yard to feel satisfied. One thing you should be very careful of is that you do not over-exercise a Havanese. Once he starts panting or can't keep up as well with you, then he's done. He can also get plenty of exercise from indoor play sessions on days where it's raining outside, or you're too busy to go out. For this reason, the Havanese is an adaptable dog who does just as well with apartment living as he does in a house with a yard. If you're asking yourself “do Havanese shed?” they do shed to a point. However, they require daily brushing, so it's not like Havanese dog shedding will be all over your house. Havanese haircuts are a common method of cutting down on grooming. It's also a good way to cut down on Havanese shedding – whatever little you'll have to deal with. There are actually Havanese short hair dogs as well if you think keeping up with his coat might be too much, but you still want a Havanese. You can also do a Havanese puppy cut if you want to get fancy with it and give him a stylish haircut. If you're wondering, though, “is the Havanese hypoallergenic?” the answer to this is “no”. No dog is hypoallergenic. The only way to truly tell if you're allergic to a dog is to spend time with the one you're thinking about bringing home. If you don't develop an allergic reaction, then you're good. 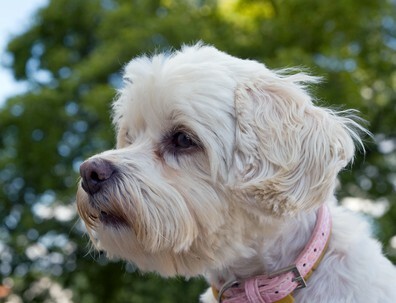 Unlike most small dogs, the Havanese has fewer health concerns to think about. This is one of the breeds that are reasonably hardy, thus making it a generally healthy breed that you should consider owning. You will not have large vet bills to think about. A normal Havanese weight is between 9 and 16 lbs. It is important that you watch your dog's weight to prevent obesity, as this can result in more health problems. You may not think so, but it is actually really easy for dogs to get fat. Just like humans, they need to eat healthily and get regular exercise to remain in peak physical condition. A typical Havanese full grown size is between 9 and 11 inches tall. The average Havanese lifespan is between 13 and 15 years, so you should have plenty of wonderful years with this little spitfire. Now that you've decided to add a Havanese puppy to your family, you are probably wondering how to go about doing that. You can find a Havanese dog for sale from a breeder who specializes in the Havanese breed. 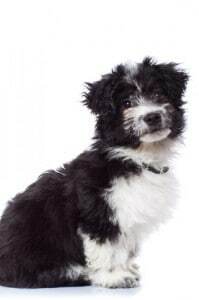 You could also bring home a Havanese rescue from your local animal shelter. It all depends on whether you want a purebred or a mix, an adult or a puppy, and how much money you want to spend. The average Havanese dog price is between $1,000 and $1,500 for a purebred dog. Several factors account for the Havanese cost, including his lineage and whether he has AKC certifications. If you see a Havanese for sale and you feel disheartened by the high price, perhaps an adoption would be preferable for you. If you want to adopt a Havanese rescue dog, you may be able to find one through at your local animal shelter. 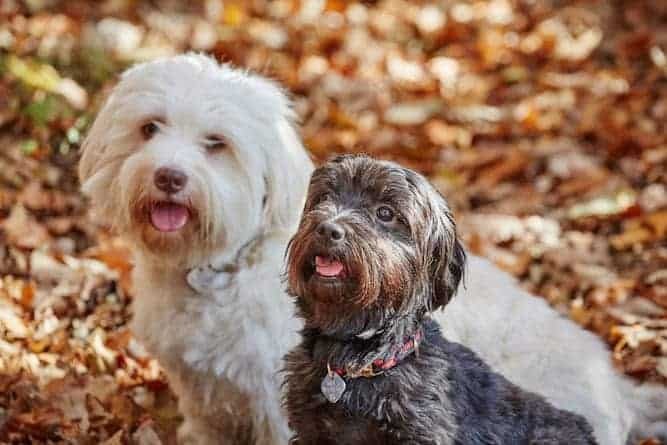 A Havanese adoption is a good idea if you're looking to save a few bucks, or if you don't care if the dog is a purebred. Havanese dogs for adoption are also ideal if you don't want to have to worry about the training struggles involved with adopting a puppy. Havanese puppies for adoption receive training, including house-training from shelter employees. This is so that by the time you bring your chosen puppy home, he already knows to go outside to go to the bathroom. He also may know better than to be destructive, but he may have to grow out of this as he adjusts from shelter living. Some dogs grow anxious when they have to learn the ways of their new home – and who could blame them? If you're in the market for a reputable Havanese breeder, a good resource to consult is the Havanese Club of America. This is the official parent club of the American Kennel Club (AKC) for the Havanese breed. They provide a breeder directory on their site complete with listings for reputable breeders that they would recommend. If you go the route of a Havanese breeder you will pay significantly more out of pocket. This should motivate you to do proper due diligence on your Havanese breeder of choice before you settle. This includes an onsite visit to interview the breeder and inspect conditions, breeding practices, and available Havanese puppies and their parents. Reputable breeders care so much about their puppies that they are not willing to sell your their pups without understanding how prepared you are to care for the dog. So you should expect the breeder will be evaluating you at the same time you are assessing them. Come prepared with your questions to ask. And if anything looks or feels off do not proceed. Find another breeder or continue to work with the shelter until a Havanese is available. The Havanese is part of the Toy Group of dogs. The one thing dogs in this group have in common is their size. Although other groups have small dogs this is the only group with exclusively small dogs. And small size matters when it comes to dog ownership. A small dog is easier on the wallet and more manageable than a larger dog. Of course, you still need to know about each Toy Dog's temperament to understand what to expect. Don't for a minute equate their small statue with any specific temperaments. The Havanese temperament makes him one of the most enjoyable toy dogs breeds to own as a family pet. His intelligence and responsiveness make him a joy to train. Even better, he does not lord his intelligence over you like other breeds are wont to do. He enjoys clowning around with you and spending as much time with you as possible. He's a fairly healthy dog who can live up to 15 years! So, if you have a cat, you know that cats can live just as long, so he and the cat can enjoy a long friendship. No harsh scolding for this dog, and exercise him regularly. You can take him for a trim to cut down on grooming, but you'll still need to groom him daily.